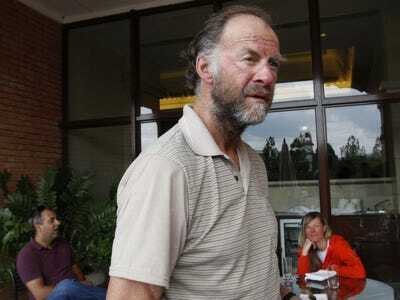 Explorer Sir Ranulph Fiennes, the leader of an expedition to cross the Antarctic in winter, has been forced to pull out due to severe frostbite, the BBC reports.Fiennes, 68, and five other men arrived on Antarctica toward the end of January. They planned to begin their 2,400-mile trek across the icy continent, in temperatures that can dip as low as minus 130 degrees Fahrenheit, on March 21. If successful, it would make them the first to cross the continent in winter. But now the “the world’s greatest living explorer” is out. His condition must be pretty serious given that he once sawed off his own frostbitten fingertips. According to the BBC, Fiennes “was injured after an accident while skiing during a whiteout.” He fell on the ice and had to take off his gloves to fix a ski binding. Temperatures were around around minus 22 degrees Fahrenheit. The decision was thus made to evacuate him. “Ran has suffered an accident to his hand which effectively makes his continued participation in the expedition more of a liability than an asset,” an expedition spokesperson said, according to the Derbyshire Times. The other five members of the expedition are expected to continue the journey. The dangers of the trip were well-known from the beginning. Before the ice team made landfall, co-leader Anton Bowring predicted that something bad will happen. Even with five years of preparation, they didn’t know if their clothing would hold up in the harsh polar conditions. Ran will continue to support the journey through fundraising. This video of crew member Ian Prickett was posted to The Coldest Journey blog on Feb. 22. It gives you a pretty good idea of the kind of inhospitable conditions the team faces.